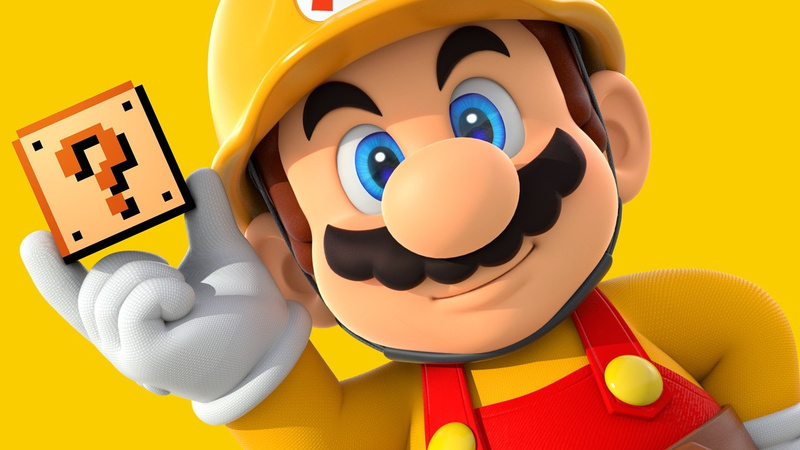 To make for a "pleasant playing experience"
Super Mario Maker was one of our favourite Wii U games; Nintendo clearly invested great time, resources and thought into making it greater than its core concept. The user interface, the creativity of the tools that feed the player's imagination and the overall polish are a testament to the development team's efforts. Whether creating, exploring or just playing, Super Mario Maker still provides an exceptional experience. It's just a shame that this once great game now feels a little bit dormant, given that the Wii U is being abruptly shoved off stage in favour of the Switch. During the lifespan of the game we got a whole heap of new event courses and mystery mushroom costumes, including Barbara the Bat, Wolf Link and even Shaun the Sheep. It truly was the game that kept on giving. - Addressed an issue that caused text in the e-manual to display incorrectly. In all honestly it's not the most exciting of updates, is it? We can only hope that Nintendo are doing a bit of housework in advance of a future reveal of Super Mario Maker for Nintendo Switch... we can dream, right? I was hoping for a Mario maker switch and smash bros switch this year but I'm a known dreamer. An exceptional product which just keeps getting better with time. Kudos Nintendo (again) on this one. I already patched my version of the game to add offline and amiibo support for the Event Course Costumes! It doesn't really add anything. It's been a long time since they added a new 8 bit costume to the game. I guess you could say Super Mario Maker got a lot more...stable. I don't think Switch will get SMM Deluxe, should be easy enough to add in slopes and call it SMM2, so Splatoon rather than MK. Though if they want to make SMM & Friends, like ACNL Welcome amiibo, that could work to. I do think we'll get SSB Deluxe, some combination of SSB on Wii U and 3DS, making a whole new SSB is a lot of work. I'm expecting both of those next year, one in March, one in May. Kirby and Yoshi can't carry the Switch for an entire year, or really even until E3. I'm still holding out for the switch version. It'll come, I'm sure of it. Mario Maker may not be coming this year, because to be frank, we are getting enough! But you can bet your bottom dollar we will get Mario Maker on Switch next year. Don't have Mario Maker yet, still holding out for a Switch version. Just do a Super Mario Maker 2.0 on Switch! Add more themes, enemies, items and objects, placeable water and lava and voila, new release. Maybe do pack in a touchpen since none of the (3)DS or WiiU's work on Switch's touchscreen. Considering its success I do expect it to appear on the Switch eventually; but as an entirely new game or an extremely overhauled game with a large number of extras. Could they consider 3D Land / World style levels in the a new iteration? How easy would it be? I would get for Switch on Day 1 because I am one of the people that never owned a Wii U but this was one of the titles that nearly made me get one back at release. Am I the only one who thinks this is probably just to pave the way for the miiverse shut down? Nintendo would be silly if they didn't release it on Switch, the amount of money they'd make would be stupid. I already played a lot of the Wii U game, so a Switch port wouldn't excite me. Releasing this on the Switch would be a smart move. I'd like to see this game on Switch but obviously without a stylus and with only the single screen it will never be quite as fluid and intuitive creating levels as it is on Wii U. Still, I really hope a Switch version is in the works. Same my friend, I really hope it comes to the switch. I really like Super Mario Maker but the wii u is kind of dead for me since I got the switch now. I have 67 levels uploaded I'd like to see playable on Switch. This needs to live on! To echo what many have said I would be there day 1 if it released on the switch. My oldest son wants to be a game designer so I think this would be the perfect jumping off point for him. Come on Nintendo make it happen!! As much as I love the idea for MM on Switch, I feel it just wouldn't work. You NEED a stylus-driven touchscreen. No doubt Ninty are considering a Switch release next year to go along with Pikmin, Luigi' Mansion, Smash, F-Zero & Waverace. Yes yes this is all true. No lies here. It'd be great if the eventual SMM for Switch had access to the library of levels uploaded to the Wii U version. Hardly a deal breaker, as I'm sure it would build its own library in no time, but to launch it with the slogan of 35,000,000,000,000,000+ Mario levels (or however many there are by now) would be the most genius marketing thing ever. The is probably in preparation for the death of Miiverse. But yeah, I'd love to see this game ported to Switch. Make levels on the go, play levels on the TV and hopefully like Splatoon 2 they'd keep some sort of messaging system ingame so the message focused levels keep their meaning. ° SSB came within 2 years of GC/Wii/WU lifespan. As a evergreen title and system seller, it only makes sense to do it again. ° Next year will complete 4 years of SSB4, enough time to make a new game. ° Even if they didn't start right away, leaving content to add after the game release worked for new IPs, should work for SSB too. ° Unless Pokemon make in time, they need a big holidays title for 2018, and there aren't other candidates on the level of SMM and SSB. I could see them releasing the DX early 2018 as you said, together with paid online, but the closer we get without any info, the less likely it seems. @beazlen1 What, no 1080 revival? @RennanNT All Switch ports have had only a 4 month gap between announcement and release so there's still loads of time left for a Smash 4 Deluxe in early 2018. Also given how big Smash 4 is, there's no benefits for a Smash 5 to exist (the only way is down for a brand new Smash game). Hey, Nintendolife, you guys follow the inverted pyramid for journalism in the UK? It's really obnoxious that I gotta skip half the article to get to what the actual article is suppose to be about: THE UPDATE AND WHAT IT DOES. I bet Nintendo is working on using the Nintendo app on your phone/tablet to let you design the levels if you're playing in docked mode. I mean with spla2oon it's pretty bare bones so probably not...but that would solve my only issue with a Switch release. @RennanNT "I could see them releasing the DX early 2018 as you said, together with paid online, but the closer we get without any info, the less likely it seems." Which is why I'm very much expecting a Nitneod Direct in September to tell us about some more Switch games for 2018. I also think we will get a SSB5, but not until late 2019, probably 2020, as those games burn Sakurai out, and while SSB4 may be old at this point, they made DLC for a year after. I really hope he's working on Kid Icarus Uprising 2 for Switch right now instead. The unfortunate part is that, with the way the Switch is positioned (single screen experience that must be docked when using a TV) I don't know how Mario Maker lives on. I guess playing in portable mode would be the only way to do it. Most likely it addressed some of the hacks that people could do. Nintendo doesn't like those things. No port, just release Mario Maker 2 on Switch. @gaga64 well I've heard 1080 Switch will be released in 2019 along with Excitebike, Zelda Breath of the Wild part 2, Rogue Squadron 3, SuperMonkeyBall4, Snake Rattle and Roll Switch edition, Paperboy Returns and Cobra Triangle. Also Eternal Darkness. My tomato sauces never lie so this is def happening. Sorry I starting dreaming again. Back to work. I'd rather a new WarioWare: D.I.Y. on Switch (though I'd be all over a new Mario Maker as well). It would be neat if the retail versions came bundled with a stylus as well. Mario Maker was such a perfect design for a Wii U gamepad, I can't see it feeling nearly as natural on the switch. Even in handheld mode where the interface would make more sense, you would have to drag and place with your fingers instead of a stylus. If they add slopes, I'll definitely get this on Switch should it come to be. @Grumblevolcano Fair point on the first part. I don't understand what you mean on the second part though. @rjejr While character/stage designers were working on DLC, the rest of the team could be working on new modes/engine/UI/etc. And Sakurai doesn't need to be as actively involved as previous entries, like he hasn't worked on Kirby for a while, IIRC. As Grumblevolcano said, this probably has to do with Miiverse being shut down. @gatorboi352 Creators like this have been done before using controls (LBP comes to mind) and you can use Right Joycon as a pointer. Touch will be the best way to create, but if you're only going to play levels or do small changes, you can do it docked just fine. If the Switch version actually happens,the Squid sisters will probably get replaced by Off the hook. I don't see this being ported for the sole fact that the Wii U (with its stylus and touchscreen design) was far better suited to editing. That said, I STILL wish they would release this for Switch. I miss it so much, and it's the one reason that I half regret trading in my Wii U! We are very unlikely to get a Super Mario Maker port when one already exists on the 3DS and as far as I can see it just won't be compatible with Switch, possibly tablet mode, but certainly not docked, the latter to be considered the switch's main mode. In addition the touch screen on the switch is heat sensitive rather than touch like the Wii U game pad and 3DS. If SMM is bundled with a touch stylus, then Nintendo might be in buisness. @rjejr "I really hope he's working on Kid Icarus Uprising 2 for Switch right now instead." Also, I find it likely for SSB4 to be re-released on Switch simply because it's sooo big (especially with all DLC) and because it'd allow both Ninty and Sakurai to "cheat" and have the same SSB on two consoles and as such, save all the time and money that would go into a new SSB. Let's not forget MK8D marked the first time the MK series did the same thing, so why wouldn't they do that with SSB? Has a nice little hidden Metroid area. Also its kinda hard. Good luck! Super Mario Maker will live on some way, somehow; Either with a sequel, or as a concept that Nintendo revisits at least once more. Zelda/Metroid/Kirby/etc. maker. Remember, a Mario Paint game is supposedly what SMM was originally going to be, & yes, I'm aware that got a sequel, only in Japan, on the commercially-failed N64 DD(Disk Drive) peripheral. @VR32F1END: Thanks, I'll have to try it, later today, or this week. Mario Maker makes great sense for Switch. Would like an expanded sequel over a deluxe port. Still don't get why there's no Switch version (which would need a way to transfer existing stages you built on Wii U). "You can now transfer levels between the 3DS and Wii U versions of the game." @MariOnline Why didn't I know about this statue? To the internet! Wait I'm already here...to Ebay! @shani You can upload courses to the server, so that wouldn't be a problem. @gaga64 yes Thanks for being that guy is forgotten about 3. I never got it because of those on foot sections. Is it worth me trying to find it now? I still have my GC hooked up to my little CRT. @NinNin If it was so easy, you could upload your BotW WIi U savegame or your MK8 savegame and online profile to a server and download it on your Switch. So either it's not that easy or Nintendo is incompetent when it comes to this. Sadly, I think the latter applies here. @shani The 3DS version of Super Mario Maker can download courses made by the Wii U users. Nintendo already did that for the 3DS version, so I don't see why they won't do it for the Switch version. I don't see how it will be a problem. You can upload your courses to the server using the Wii U version and then download them using the Switch version. In order to play a course made by another user, the game needs to download it first anyway. As for cross-saving, an infrastructure or a server is needed. However, Super Mario Maker already has a server. I have Super Mario Maker but haven't played yet. Better get playing. @MariOnline If I get it it will just go on a shelf. I'm just stoked it exists. It's a little sad to see Nintendo winding down all the Wii U games, but then it is just a reminder why I mostly stay away from the online multiplayer for most games. This blue themed Nintendo Life is already nostalgic. I agree in thinking that this update is just planting a seed for the ultimate demise of MiiVerse and all it's attachments to SMM. I'm curious to know if the Super Mario Maker Bookmark site is going to collapse as well. SMM was my favorite video game ever. I already mourned its death when Nintendo stopped WiiU production last November. It was inevitable that online functions were going to become defunct. So sorry for everyone who was a part of its huge online community. I had a lot of fun making music levels with pixel art. Each of my levels took me about 20 hours to make (average). It was worth it for all the comments (and stars) I received for them. So sorry to see that go to waste. 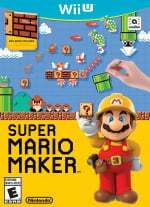 Super Mario Maker was alright on the Wii U, but I would rather Nintendo Release a New 2d Mario game for the Switch instead of a Diy Mario Maker. @VinnieMii The server is still up and running. Let's be sorry when it's shut down. @beazlen1: Rebel Strike is pretty good. Lots of people consider Rogue Leader better, but for me, both are very good. 2-player versions of RL missions are on the RS disc. You can access them early with the right password. Super Mario Maker:Switched! I can see it already.